The likes of CVS and Walgreens could suffer if Amazon follows through on reported talks it's held with Mylan and Sandoz to get its feet wet in the prescription drug retail market. Amazon.com Inc. (AMZN - Get Report) could soon make retail pharmacy companies sick. If the ecommerce giant enters into the retail pharmaceuticals industry, about 10% of pharmacy profits could be at risk, according to Morgan Stanley analysts. Amazon has reportedly held talks with drugmakers Mylan NV (MYL - Get Report) and Sandoz, a unit of Novartis AG (NVS - Get Report) . The talks were said to be high level, but Amazon's plans are not yet clear. These discussions suggest Amazon "could be taking on either pharmacy, drug distribution, or both," Morgan Stanley said. Amazon could enter the drug supply chain by opening a retail pharmacy, entering into contracts with generic drugmakers, working with branded manufacturers or building up a claims processing unit. Should Amazon enter into the pharmacy market, there could be about a $1 decrease in generic co-pays that would eventually translate into a 10% to 11% headwind for the likes of CVS Health Corp. (CVS - Get Report) and Walgreens Boots Alliance Inc. (WBA - Get Report) in 2019. According to the analysts, Amazon might simultaneously explore both opening a retail pharmacy and contracting generic drugmakers as the two have "low barriers to entry." Investors should watch for signals Amazon is filing for distribution licenses or opening some sort of retail pharmacy unit inside its Whole Foods locations. The market for generic drugs would be a good one for Amazon -- Morgan Stanley says it represents a $79 billion gross profit opportunity across the supply chains. 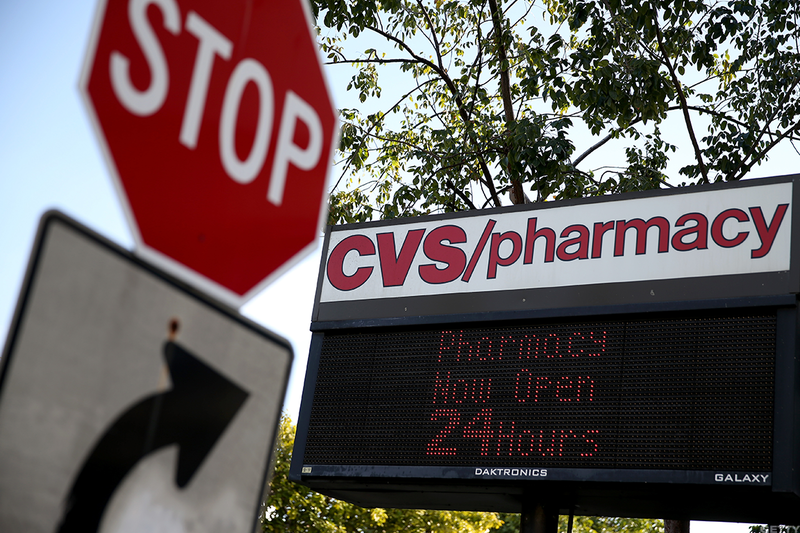 Retail pharmacy, too, could cushion the bottom line with a $52 billion profit pool. Amazon stock traded lower 0.33% premarket Friday.